Note: Post updated for 2019 models. 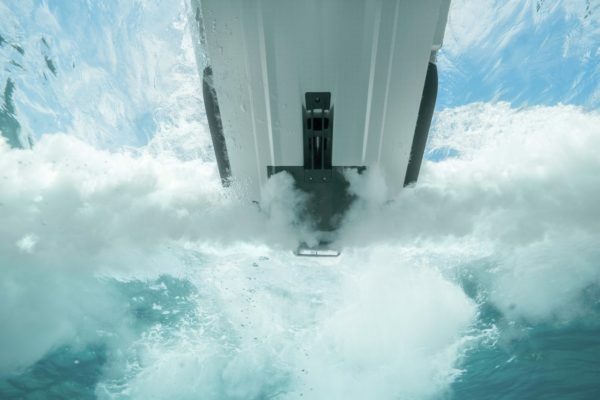 Sea Doo technology advances have led the industry in improving watercraft riding for 50 years. 2018 is no exception. As I’ve already described in other posts, Sea Doo broke new ground with their next generation 3-seater touring models. Now, 2019 GTX, RXT and Wake Pro 230 once again feature this impressive new platform. This includes storage innovations, a new ST3 hull and many other new platform features. And as I explain in my overview, Sea Doo tour riders reap the benefits. But the story isn’t complete without exploring several important Sea Doo technology advances. 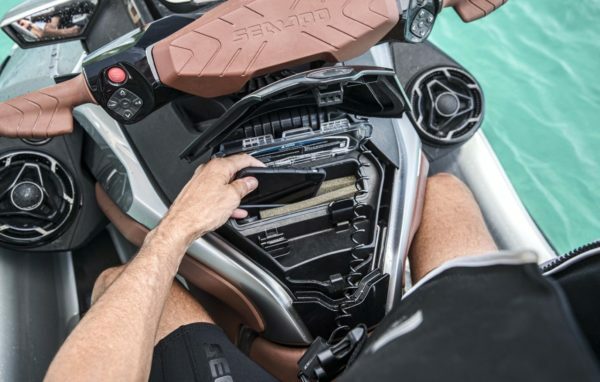 The familiar Sea Doo glove box goes high tech. This in-your-lap storage compartment answers the question, “What do I do with my smart phone on the water?” The glove box now takes on the job of protecting your smart phone with a watertight inner lid. It also adds shockproof foam inserts to cushion your smart phone from the waves. And carrying your smart phone right in front of you is much more convenient. It also significantly reduces the chances of inadvertently dropping it overboard. 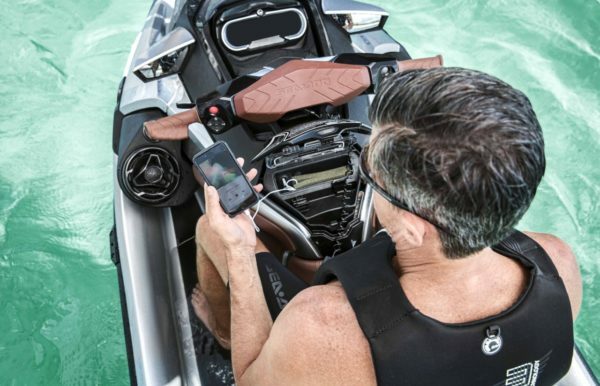 What’s more, this new Sea Doo technology advances your smart phone’s battery life. A new UBS charging port enables you to juice it up during the ride. The port is standard on GTX Limited and an available accessory on other models. Sea Doo technology advances also bring your music to the water. With your smart phone now safe and secure, it’s easy to connect it to the new BRP Bluetooth audio system. It’s 100 watts of power pumps your tunes through two waterproof speakers with woofers and tweeters. They’re located on integrated pedestals on either side above the foot wells. They angle the speakers so that clear, full sound flows directly to your ears. The audio continues even up to an hour after the engine’s turned off. In addition, you can select and control your music using a speaker-mounted remote quick controller. This neat feature enables you to leave your smart phone in its safe and secure compartment while listening and riding. BRP audio comes standard on GTX Limited or as a factory-installed option on other 3-seater models. The safest innovation on the water just got better. 2018 brought iBR Gen3 to Sea Doo watercraft. All Sea Doo models now benefit from a Gen3 software upgrade. But the new Sea Doo 3-seaters also benefit from an improved reverse gate. It works with the updated software to increase the system’s responsiveness and manoeuvrability. So when braking or in reverse, new platform riders get more precise and instantaneous control when modulating the brake/reverse lever for even easier docking. Best of all, iBR Gen3 delivers more stopping capability than previously. 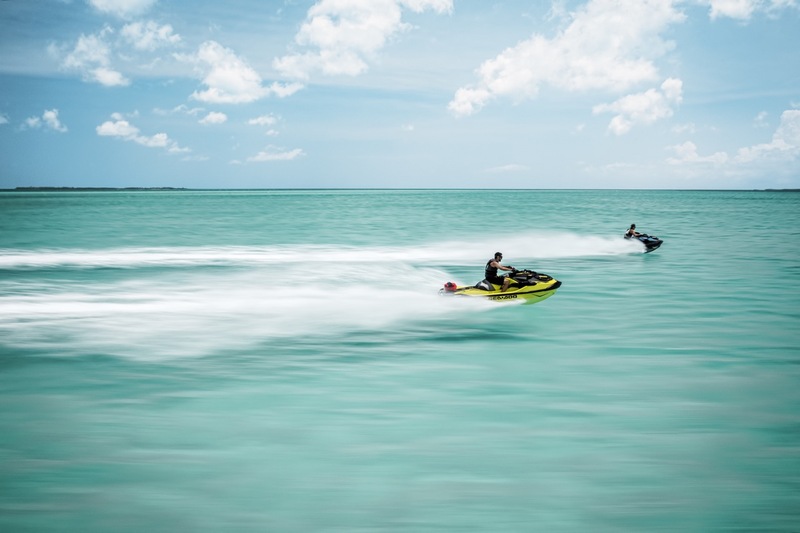 it now halts the new platform Sea Doo watercraft up to 160 feet sooner than other brands without a brake. One other innovation of note applied to all 2018 Sea Doo X Package models regardless of platform. These performance units got new flex for their muscle with the addition of Launch Control. This is an easy-to-use, handlebar-activated system. 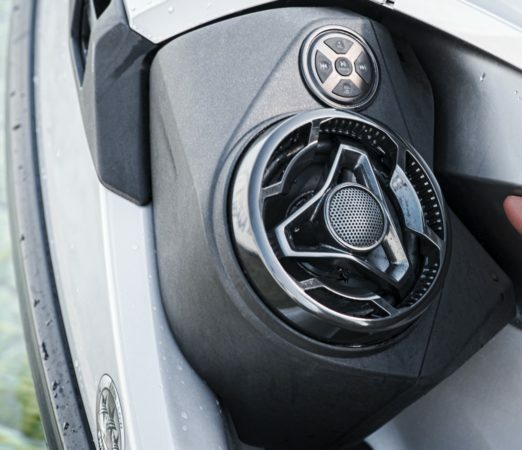 It automatically adjusts the pump angle to provide perfectly controlled acceleration every time. Without any fiddling or practice by the operator, launch control limits bow rise and optimizes thrust for the smoothest and quickest take-offs possible in every condition. So that’s the Sea Doo story for 2018 onwards. The new Sea Doo platform with its Sea Doo technology advances, new storage ideas and ST3 hull are exciting and exclusive innovations. Together, they are taking riding Sea Doo tours to a whole new level of adventure. It’s an auspicious and ambitious way for BRP to celebrate 50 years on the water. The tips and advice in this article are the opinions of the author, may not work in every situation and are intended only for the convenience and interest of the reader, who has the personal responsibility to confirm the validity, accuracy and relevancy of this information prior to putting it to their own use.